The image above showcases an amusement park in Sydney which, whilst long gone, exerted a great influence over the future of Sydney’s outdoor amusement parks. The park in question was Wonderland City at Tamarama. 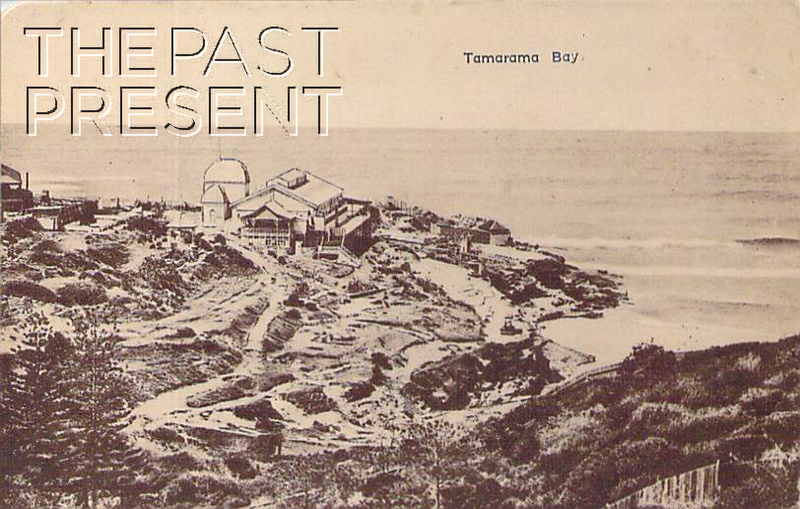 Before Wonderland City, there was another pleasure ground at Tamarama – The Royal Aquarium and Pleasure Grounds. Opening in 1887 the Royal Aquarium (also known as the Bondi Aquarium, despite it not being at Bondi) was an open air amusement park with not only an aquarium but also amusements such as merry-go-rounds, a shooting gallery and roller-coaster. There was also a large dance hall which hosted acts from the Tivoli Theatre in Sydney, among others. The Aquarium and dance hall burned down in 1891 but soon ‘rose from the ashes’, continuing to service the people of Sydney. In 1906, after several changes of ownership, the Royal Aquarium and Pleasure Grounds was sold to a well known theatre man, William Anderson and was transformed into Wonderland City. He leased not only the original land occupied by the Aquarium (minus the beach area), but also land in Tamarama Gully – his amusement park was to occupy 20 acres! At first, the amusement park was a great success, employing 160 people, hosting famous acts from Anderson’s national touring circuit and attracting 2000 people each weekend in summer. There were rides, an artificial lake, Japanese tearoom, Alpine Slide, music hall style theatre, and the first open air ice skating rink in Australia. One of the major attractions was the Airem Scarem which was an airship suspended between the cliffs which carried visitors between the cliffs, and at high tide, out over the water. Wonderland City was the precursor to Luna Park and set the standard for amusement parks and outdoor entertainment in Sydney, yet it was short lived, closing in 1911, less than 10 years after it opened. Come back next week to find out more. This entry was posted in New South Wales, Sydney, Sydney Suburbs and tagged 1900s, entertainment, industry, leisure, parks and gardens, postcard collection, sydney, sydney harbour, tourism.